Product categories of Glass Jar Food Blenders, we are specialized manufacturers from China, Glass Jar Food Blenders, Glass Jar Blenders suppliers/factory, wholesale high-quality products of Blender With Glass Jar R & D and manufacturing, we have the perfect after-sales service and technical support. Look forward to your cooperation! Glass Jar Food Blenders are stronger, which can crush ice. 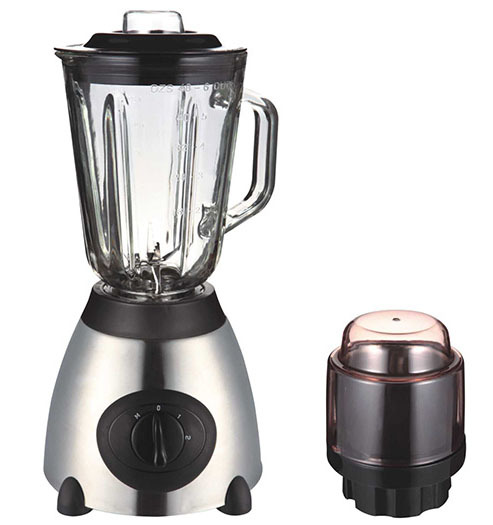 Glass jar food blenders' motors are more powerful, usaully use 7025 or 7030 motor. Their power can reach to 350/450W. Glass jar food blenders always with 6 pcs ice crushing blades and coffee grinder.